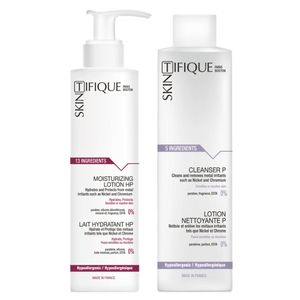 Skintifique has developed extremely efficient, safe and pure skin care products which protect, moisturise and cleanse skin suffering from pollution. Scientifically proven benefits! A very safe and pure moisturiser. It is based on an exclusive patented technology which limits the penetration of pollution into the epidermis while allowing the skin to breathe. Moreover, it contains antioxidants which help to protect the skin from the negative effects of pollution. This extremely pure, soft and efficient micellar water cleanses, removes makeup and traces of pollution from the surface of the skin. All the products in the Anti-pollution Pack are: paraben free – metal free (no Nickel, Chromium or Cobalt…) – fragrance free – EDTA-free – BPA free (no phthalates, bisphenol, non-toxic plastic) – sulfates free (no SLS & SLES) – gluten free – silicone free (no dimethicone) – alcohol free – mineral oil free (petroleum free) – lanolin free. What is the impact of pollution on your health and your skin?